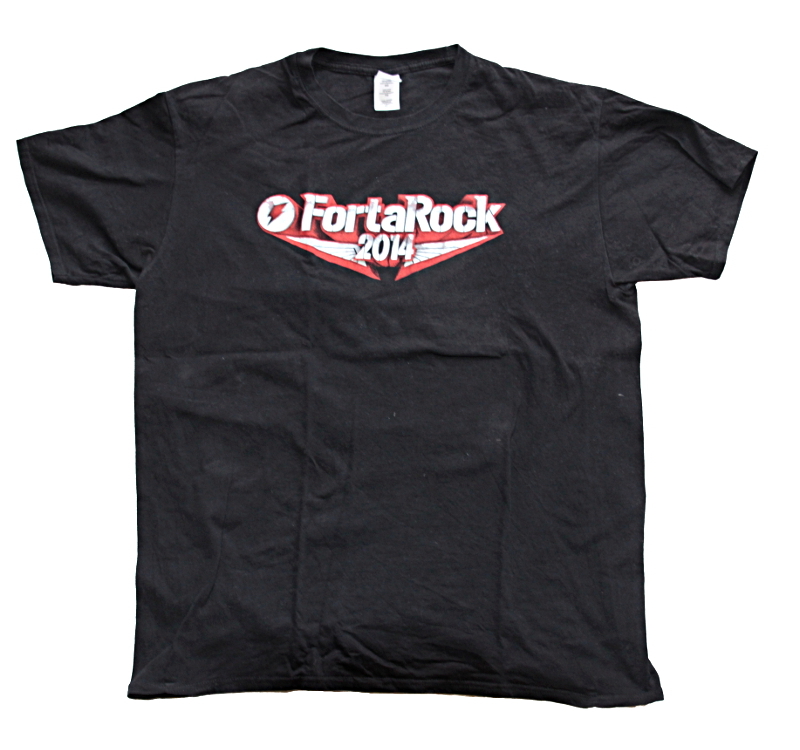 The Fortarock XL Edition on the Goffertpark was succesful, so the sixth edition was again held here. Too bad, ‘Park Brakkenstein’ was in my opinion a better place. Smaller, better atmoshpere. But things change. Topacts of the day for me Vandenberg’s Moonkings, Behemoth, Carcass, Dimmu Borgir, Slayer and Iron Maiden. 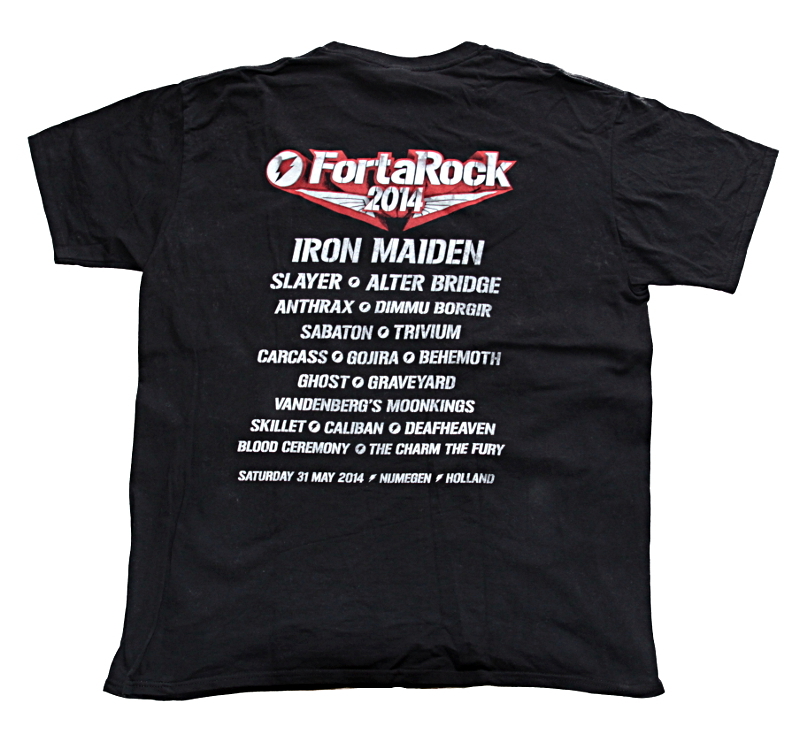 A simple (SFW) shirt, front with only a logo, and on the back the list of all bands.